This book of versatile, pedagogically based choral warm-ups helps conductors take full advantage of important time in every rehearsal, providing tools for assessment, musicianship, and ensemble unity at the same time singers are warming up their voices. The exercises in Aligning Voices are organized into nine chapters, each focusing on a different area of choral technique. Each warm-up contains two or more parts, allowing the director to work toward improving choral sound in a texture similar to that of the repertoire. 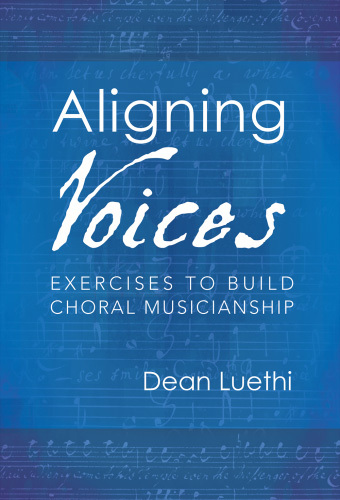 Moreover, author Dean Luethi provides every warm-up in three voicings-SATB, SSAA, and TTBB-and sequentially organizes them by difficulty level. These exercises go well beyond simply warming up the voice. This resource is a must-have for all choral directors looking to make the most of their warm-up time.